milk production and build a factory to produce a local Cheddar cheese. homesteaders in the area in the 1860s. booth and a home for the master cheese maker. Flower Station and Scotch Line. careful aging, smooth flavour and texture, and pleasing sharpness. to service the newfangled automobile. And a small retail store opened at the front of the factory. – in 1970 – a new cheese store. crossroads to the major capitals of North American and the United Kingdom. Canada. 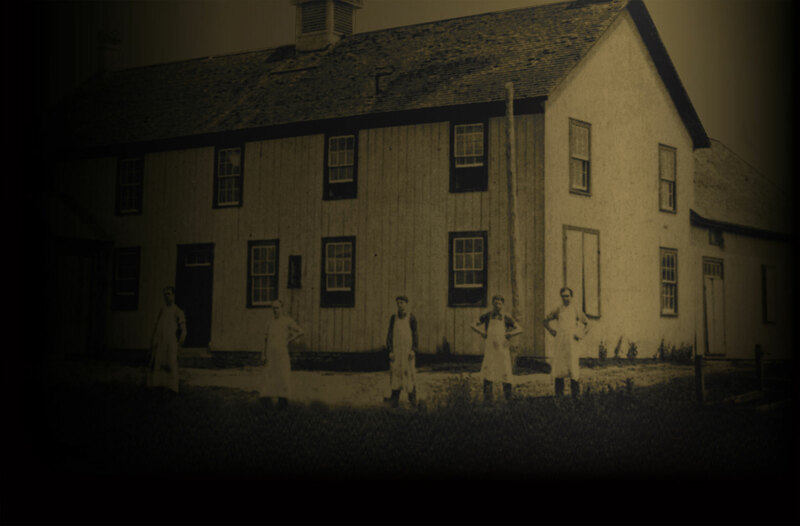 It’s been over a century and a quarter since those early days at Balderson Corners. And not surprisingly, a few things have changed. state of the art facility a little ways down the road. same vision: to make the world’s very best fine aged Cheddar.